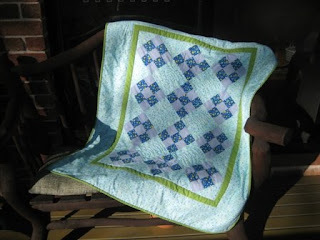 In February this year, I joined the local Bernina Club and have been to a few sewing lessons to learn from the experts. 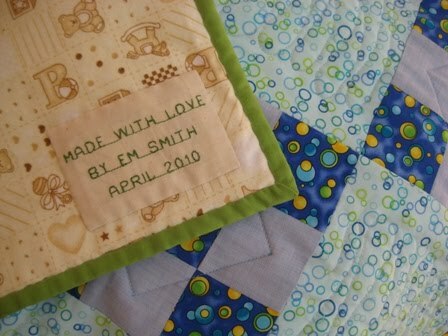 Last month (April), I have managed to make this quilt for a friend's baby boy who was born on the day the quilt was finished. With help from the BSR of my beloved Bernina Aurora 440 QE, I have managed to add some free motion quilting to the quilt. I'm still a long way from mastering the technique.! !